La Casa del Sol Naciente, San Pedro de Atacama, Chile : Rezerwuj teraz! The client must cancel his reservation without charges at least 5 days before his arrival. If you cancel outside this period the hostel will charge a penalty of 50% of the total stay. 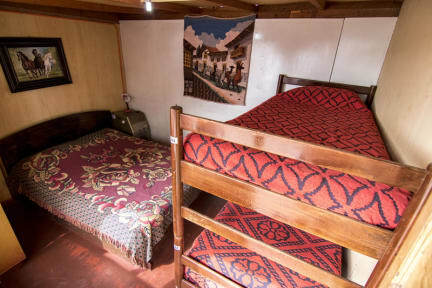 The hostel has a rustic style and it is fully equipped with several amenities and services such as kitchen, dining room and several common areas where the guests and travellers will be able to enjoy and discover the very best of our facilities and our location. 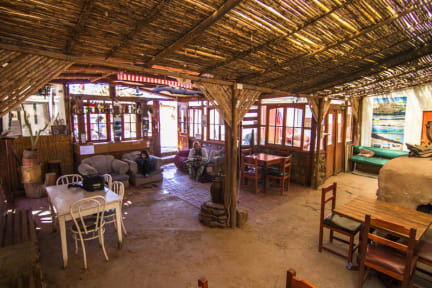 We are located in one of the best locations of San Pedro de Atacama, near to some of the finest attractions and landmarks of the city such as Valle de la Muerte, Pukara de Quitor and Museo del Meteorito amongst other interesting spaces and places that you can enjoy and discover in our city. We have several diverse room, both private and shared, to satisfy and fulfill the needs and desires of our guests and travellers. In addition, in our common areas the guests and travellers will be able to exchange past experiences and future plans apart from meeting each other.